Six major Indian companies, including Bharti Airtel, Infosys and Tata Consultancy Services (TCS), have made the cut in list of 20 'Most In Demand Employers' compiled by professional network LinkedIn. 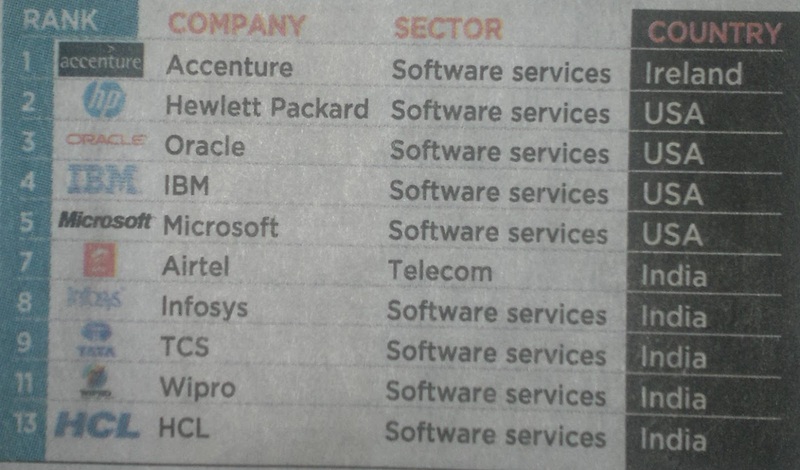 Wipro Technologies, HCL Technologies and Mahindra Satyam have also found a place in the list, which is topped by Accenture. The professional network said in India, telecom player Bharti Airtel is the seventh most sought-after company among professionals on LinkedIn. 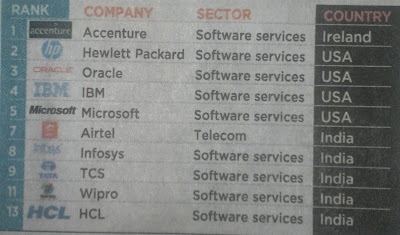 This was followed by Infosys at eighth spot and TCS at the ninth place. Wipro Technologies was 11th, followed by HCL Technologies in the 13th and Mahindra Satyam in the 14th place. LinkedIn analysed a large number of companies and published the list among its 175 million members. "The three companies of Indian origin that feature in the top 10 list of most InDemand employers... are testimony to the increased importance of developing and maintaining employer brand by Indian corporates," it said. Among others in the top five are Hewlett Packard, Oracle, IBM and Microsoft. Cognizant Technology Solutions, Vodafone, Deloitte, Amazon, Adobe, Cisco are the others featuring in the list.